﻿ Book Pauline's Apartments (Noord) - 2019 PRICES FROM A$164! 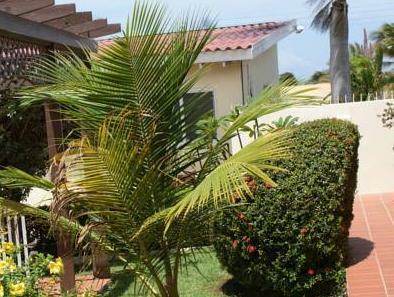 Just a 15-minute walk from Aruba’s famous Palm Beach, Pauline’s Apartments provides air-conditioned studios and apartments with free Wi-Fi, furnished patios and garden views. It has an outdoor swimming pool with a children's safety gate. 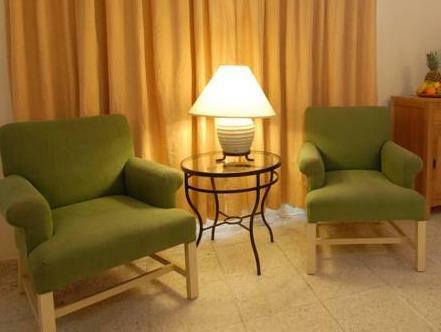 Decorated in light colors, the spacious studios and apartments feature comfortable lounge areas with cable TV. Kitchenettes include a large fridge, a stove, a microwave and a blender. BBQ facilities are also available. Pauline's Apartments is a 15-minute walk from the shopping, bars and restaurants of Palm Beach. Eagle Beach is just under a mile away, and Tierra del Sol Golf Course is 2 miles away. Free public parking is available at the complex. For an additional fee, the staff can arrange transportation to Reina Beatrix International Airport, just a 15-minute drive away. Please note that Pauline's Apartments does not have a reception. Check-in and check-out times must be arranged in advance by contacting the property using the contact details found on your booking confirmation. Please note that the property cannot accept check-ins from 23:00 until 7:30. Early check-in is available by request and is subject to availability. Please inform after booking your flight details and also if you would like to request the airport shuttle service. Please inform Pauline's Apartments of your expected arrival time in advance. You can use the Special Requests box when booking, or contact the property directly using the contact details in your confirmation. A damage deposit of USD 200 is required on arrival. This will be collected as a cash payment. You should be reimbursed on check-out. Your deposit will be refunded in full, in cash, subject to an inspection of the property.